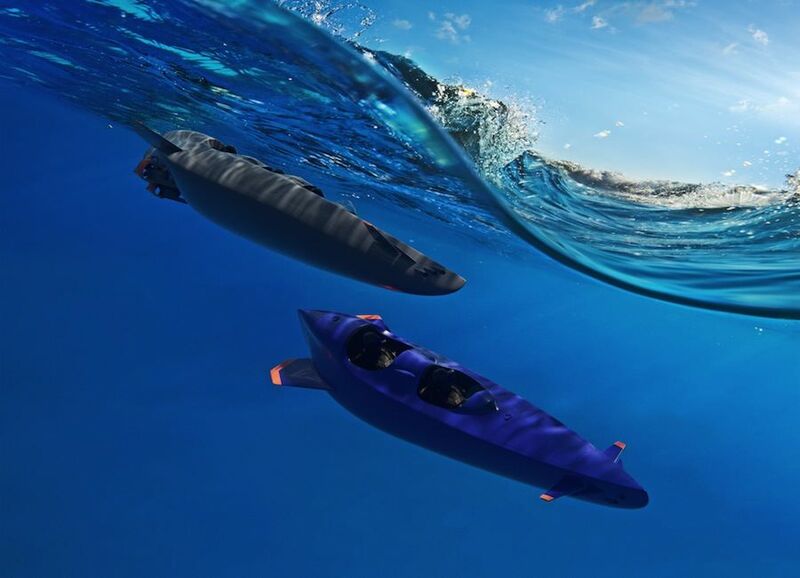 Water mobility: personal submarines and navigating floating gyms, the ultimate water-bike but also self-driving Roboats crossing Amsterdam canals... With 70% of the planet covered in water, the future of traveling might come as a gliding technology. Water mobility: Quadrofoil Q2S – Courtesy of Quadrofoil. 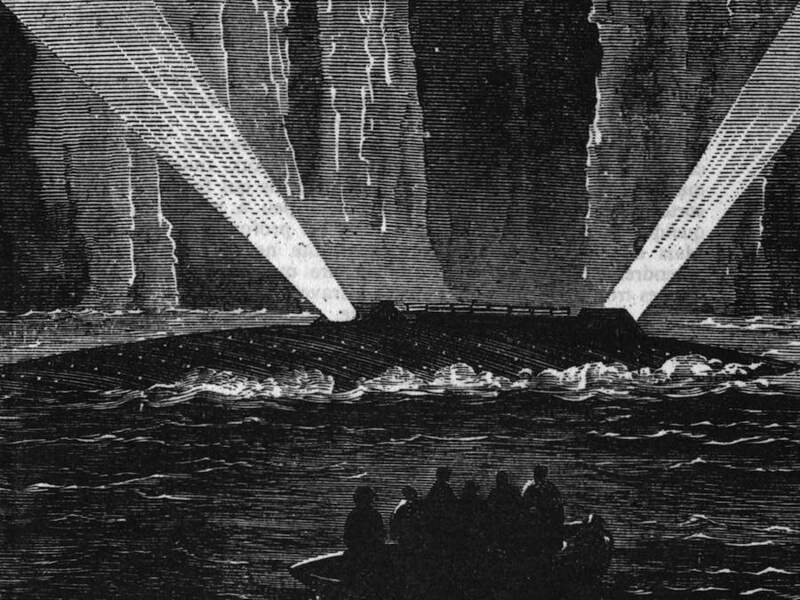 In 1867 a futuristic submarine on show at Paris Expo inspired Jules Verne to create Literature most iconic marine design: Captain Nemo’s Nautilus. Today almost all the sci-fi technologies of the iconic mechanical sea monster of Twenty Thousand Leagues Under The Sea and The Mysterious Island have been achieved. Detail from the cover of L’Île mystérieuse (The Mysterious Island), Jules Verne – Pierre Jules-Hetzel Editeur, 1874. But after the conquer of air and outer space, it could seem that future mobility stopped at the water’s edge. Get ready to reconsider that. New technologies will soon allow us to travel and commute above or beneath the water surface, wether we are divers, underwater travellers, bikers and even pedestrians. Indeed, while ships and cruises grow bigger and faster every year, true innovation in water mobility comes in smaller sizes. 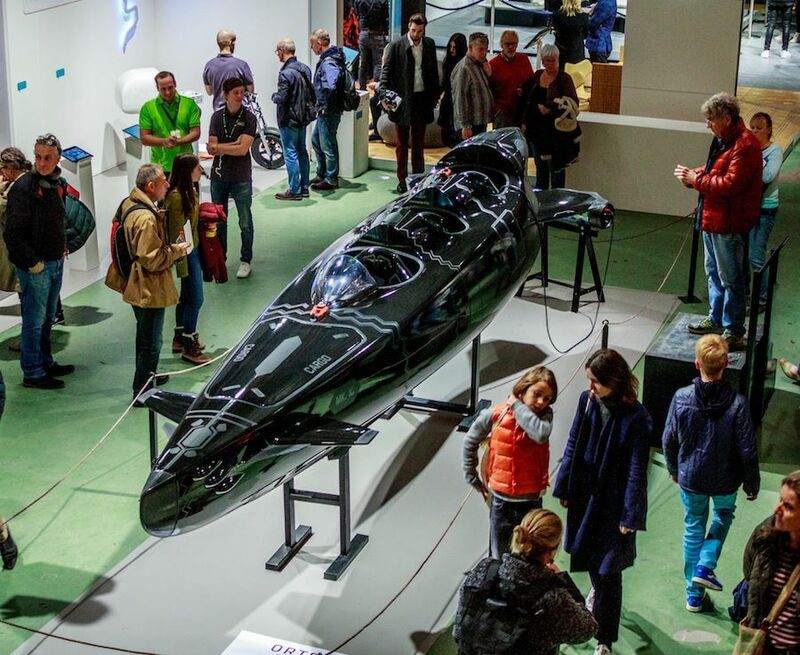 Dutch company Ortega launched a three-seater personal submarine featuring the most advanced naval technology. Ortega MK.1C is a fully-submersible boat that can carry people both above and under water at a speed up to 11 knots (about 20 km/h). 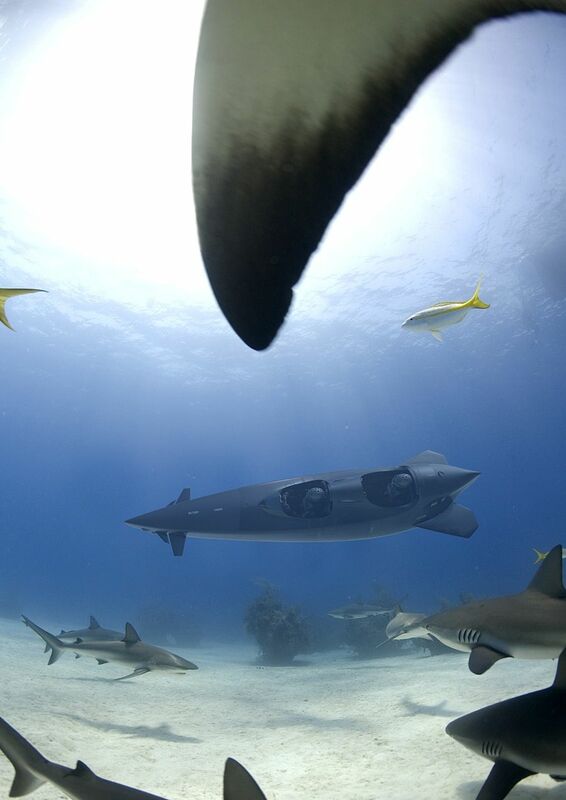 The Batman-ish design can can plunge safely up to 95 metres deep thanks to an integrated and efficient battery management system – BMS- that keeps all cells in optimal health. Ortega MK.1C is equipped with a trimming tank, on-board breathing apparatus and HUD navigation system. Magnetometers, sonar, forward looking infrared (FLIR) cameras and extra air supply allow a smooth exploration under the sea. Ortega MK.1C – Courtesy of Ortega. Above the surface, even bikers can already glide along. Schiller Bikes combined the most advanced bike design with catamaran super-light hydrodynamics. 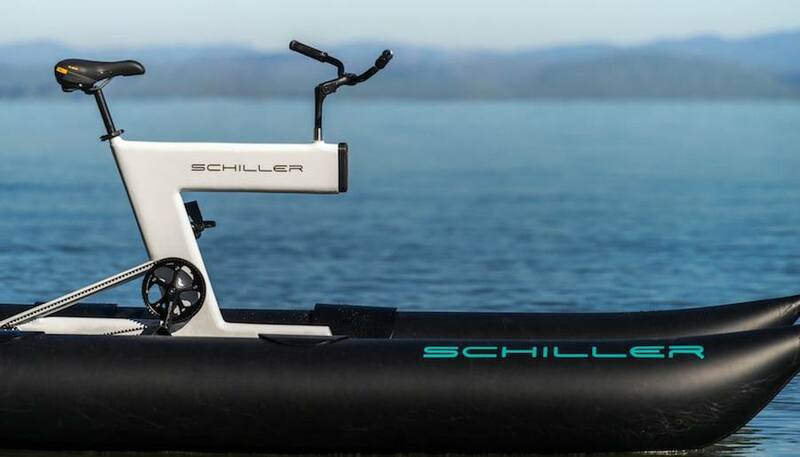 The result is Schiller S1, the ultimate water bike for those who want to commute between riverbanks, discover new beaches or explore the aquatic world in a whole new way… By using the healthier and most sustainable energy source: human power – Watch video. “For over a century, inventors have been pursuing ways to create the joy and freedom of biking out on the open water” Say Judah Schiller. “S1 is a ultraportable and super light bike that can be assembled in less then 10 minutes”. 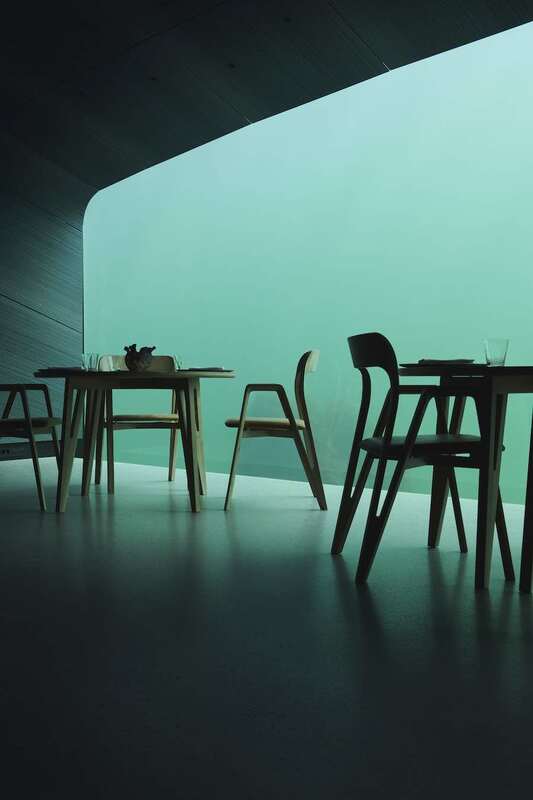 Schiller S1 – Courtesy of Schiller Bikes. 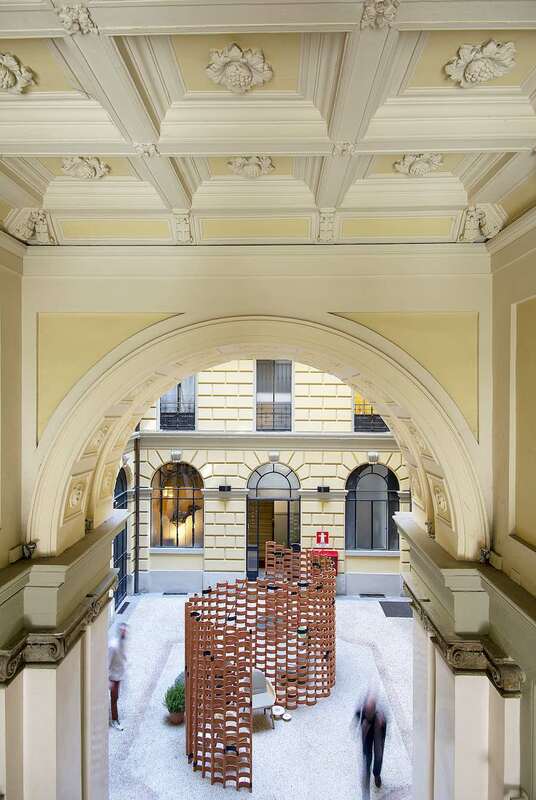 Future water mobility – Paris Navigating Gym by Carlo Ratti Associati. 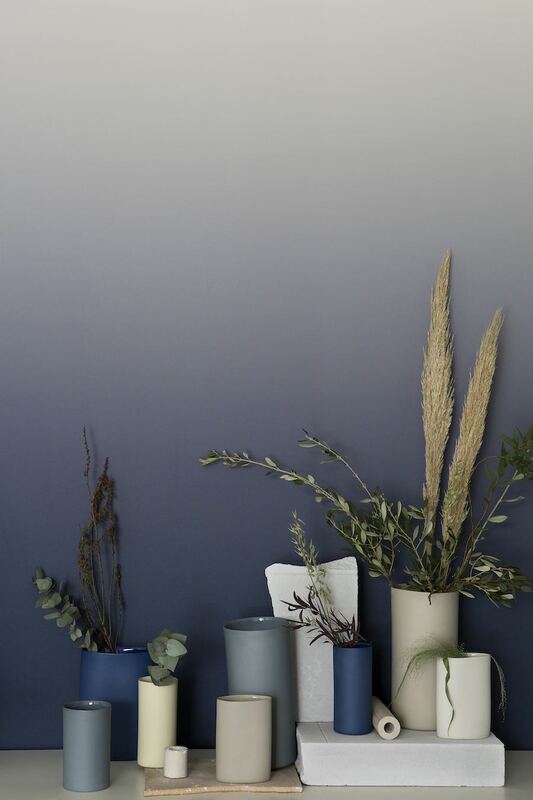 Feeling your urban work-out has become a bit dull? 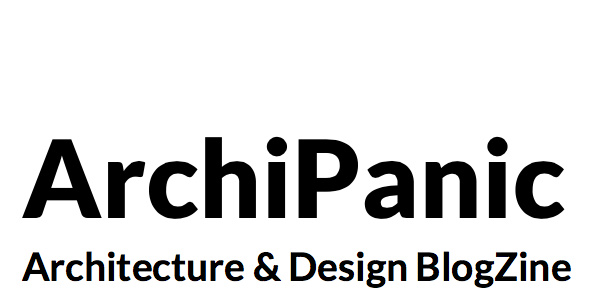 Why not combining it with Paris sightseeing. 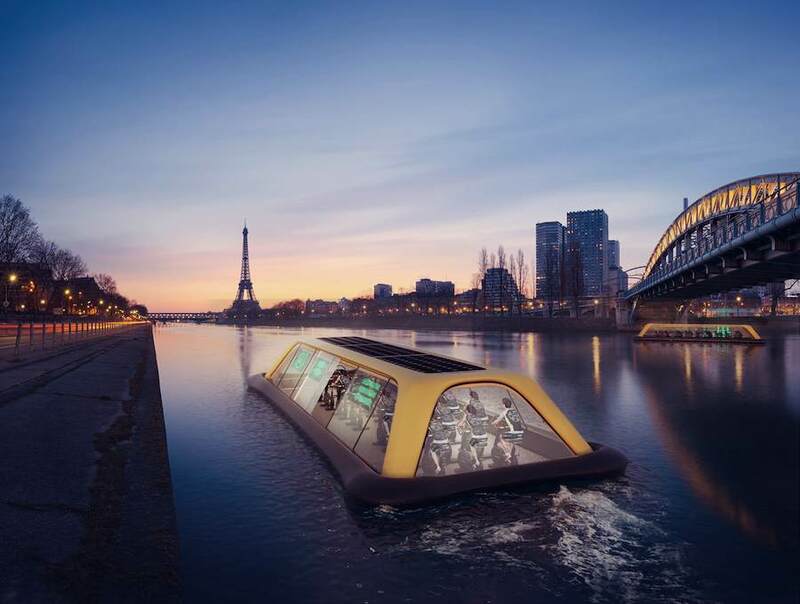 Carlo Ratti Associati unveiled a Paris Navigating Gym that harnesses human-power to move along the Seine River in the heart of the French capital. 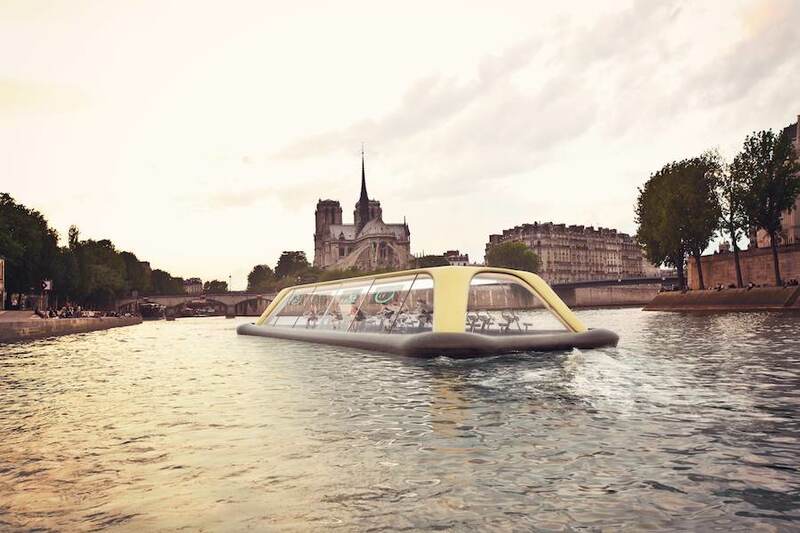 Encased within a transparent glass covering, open in the summer, the design of this 20-meter boat was inspired by the Bateaux Mouches, typical 20th-century touristic Parisian ferry-boats. 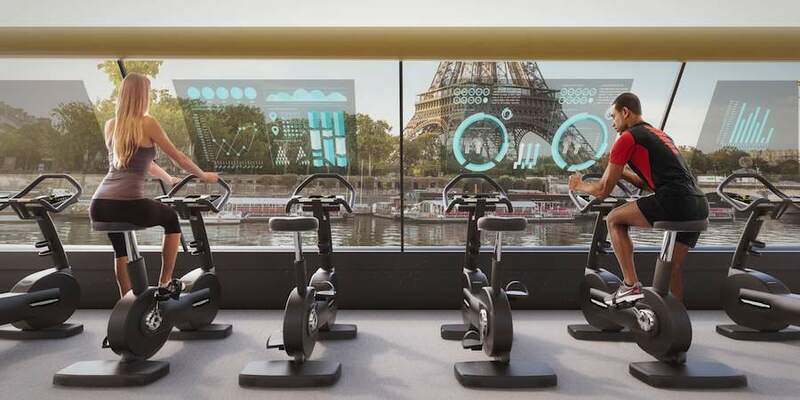 Augmented-reality screens installed on the boat will show guests both the quantity of energy sourced from the workout, and data about the Seine’s environmental conditions, tracked in real time by sensors incorporated on the vessel. 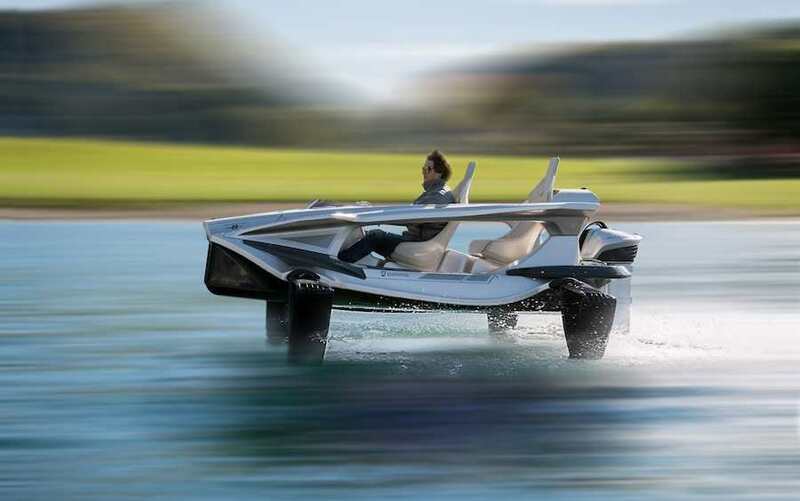 High-tech and sustainability march along also with the new electric QuadroFoil Q2S two-seater personal watercraft. 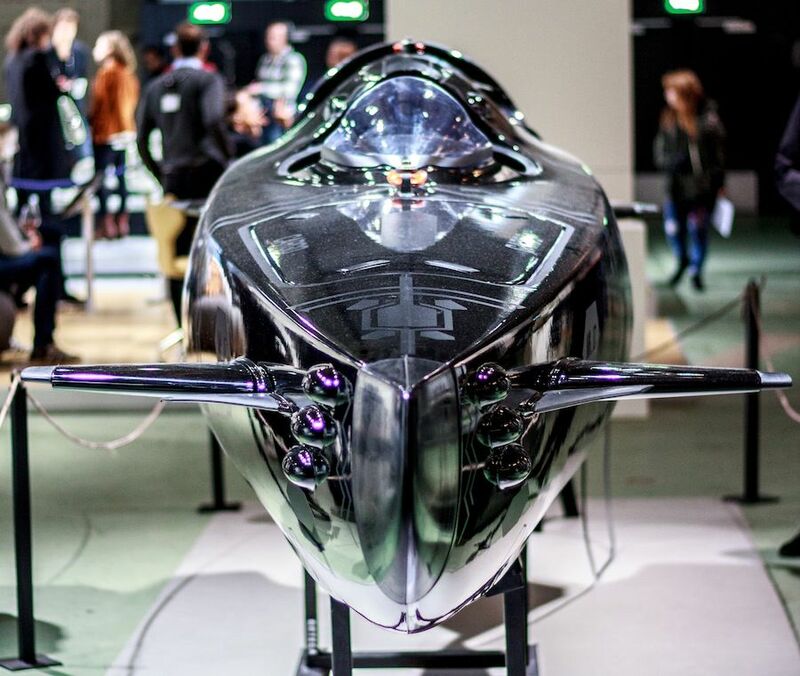 The new limited edition can rise up to 40 km/h thanks to four “wings” gliding on the surface of water. Advanced naval technology provides optimum stability, control and efficiency. 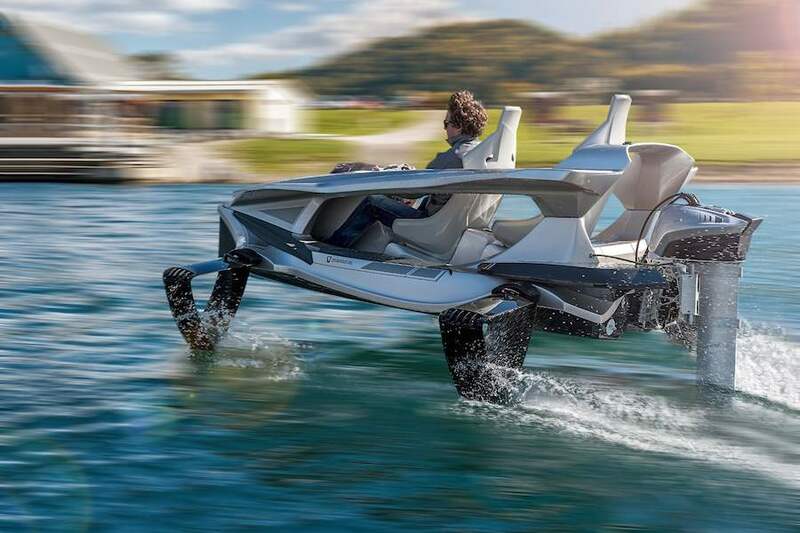 “The hydro-foiling watercraft transforms boating into a fusion of driving a formula race car and flying” say at the Slovenian brand Quadrofoil. 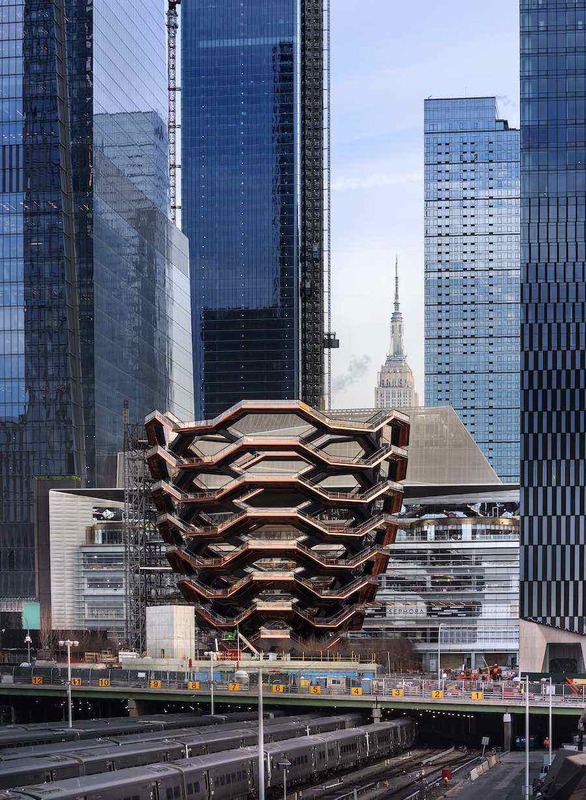 “By transferring transport to uncrowded and fairly open waterways, we reduce the number of vehicles in cities and reduce air pollution drastically. This means also more safety for pedestrian and light electric vehicles“. Quadrofoil Q2S – Courtesy of Quadrofoil. 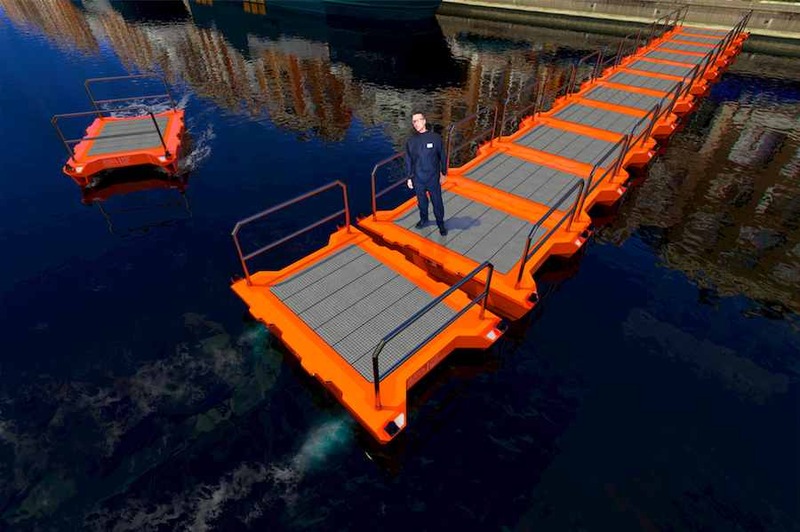 Indeed, water mobility is not only about drivers, bikers and underwater passengers but for pedestrians as well. 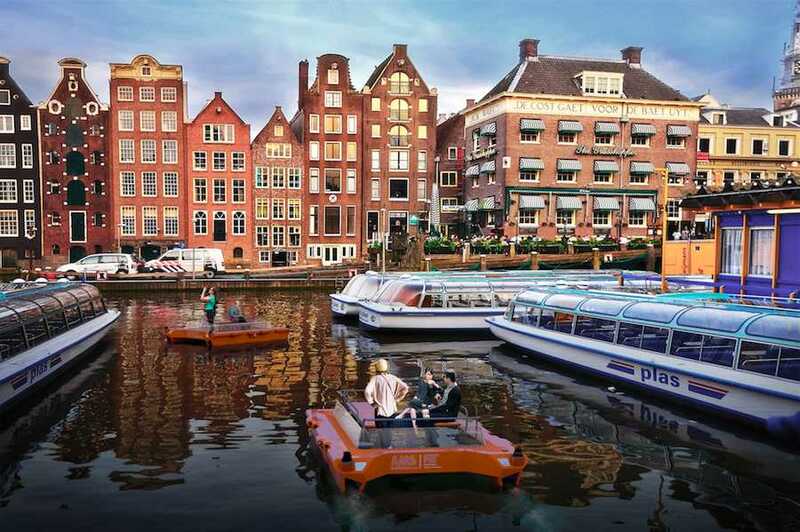 While the first prototypes of self-driving cars are taking to the road, the Amsterdam Institute for Advanced Mobility Solutions and the Massachusset Institute of Technology unveiled Roboat, autonomous floating vessels for metropolitan areas. Roboat – Courtesy of Senseable City Lab and Amsterdam AMS. “Imagine a fleet of autonomous boats for the transportation of goods and people,” says Carlo Ratti, Professor at MIT and principal investigator in the Roboat-program, “but also think of dynamic and temporary floating infrastructure like on-demand bridges and stages, that can be assembled or disassembled in a matter of hours”. Roboat – Courtesy of Senseable City Lab. The research, with a €25 million budget, is set in Amsterdam but aims to become a reference study for many urban areas around the globe. “Roboat offers enormous possibilities,” says Professor Arjan van Timmeren, AMS Institute’s Scientific Director, “as we’ll also be exploring environmental sensing. We could for instance do further research on underwater robots that can detect diseases at an early stage or use Roboats to rid the canals from floating waste and find a more efficient way to handle the 12,000 bicycles that end up in the city’s canals each year”. Earlier this year at Rio Olympics, Sailing Team Germany (STG) partnered with tech-firm SAP to develop an analytics software that could help sailors to run simulations and analyse real-time performance. Welcome to The Internet of Sailing, will the research and development for agonistic sport lead to a wider development of water mobility? 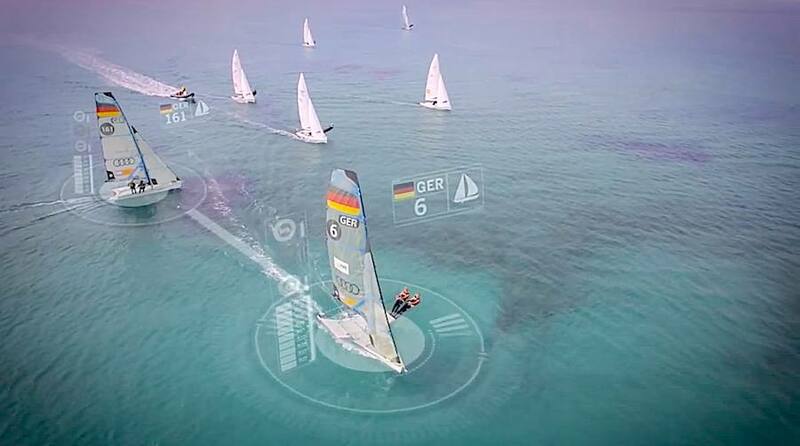 Germany Sailing Team teamed with Autodesk – Frame.